If you live in an area that experiences inclement weather throughout the year, specifically during winter, then you most likely have come across ice dams. 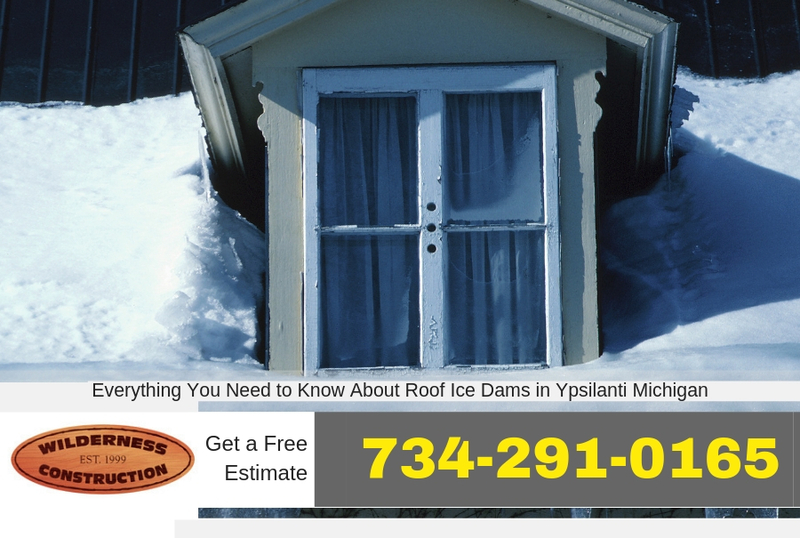 For home owners in Ypsilanti Michigan roof ice dams are something you’ll need to consider about your roof. Although roof ice dams aren’t dangerous themselves, they do pose a risk to your roof if they aren’t properly attended to. That’s why we have created a short guide on everything you need to know about roof ice dams in Ypsilanti Michigan. Making sure your roof is in good working order is a must to protect your home. Even a small leak can turn into a disaster over time. Roof ice dams can start to show up over time and create small roof leaks which may go un-noticed for some time. Protecting your home against roof ice dams is a must to protect your home. Read below to learn more about roof ice dams and how to prevent them. Roof ice dams are created when snow begins to melt, reaches your roof-line, then refreezes along the edges of your roof. This usually occurs because the heat from your attic transfers through your roof to the middle where most of the snow most likely is. Since it’s warm in that area, the snow is able to melt and travel down your roof. But since the edges of your roof-line don’t experience any heat transfer from your home, it matches the outside temperature and is able to turn the snow back into ice. This is where a problem begins with roof ice dams and if you don’t have roof ice dam protection in place, your roof may start to fail. Themselves, roof ice dams in Ypsilanti Michigan aren’t dangerous. Unfortunately, since they hang on the edge of your roof, they can infiltrate your shingles and create water damage. Also, as ice dams begin to melt, they pose a hazard to people walking near them because they could abruptly slide off or fall off as an entire chunk, thus injuring someone. 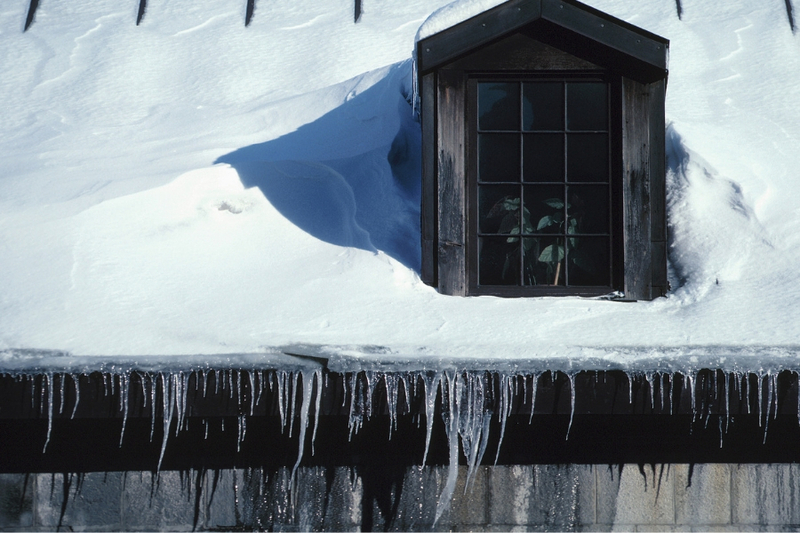 There are a few things you can do about roof ice dams. Of course, the best way to avoid the potential problems cause by ice dams is to prevent them from forming. Since ice dams are usually caused by melting snow initiated by heat transfer from your attic to your roof, it’s important to ensure you have proper insulation. With superior insulation, there will be an adequate barrier between your attic and roof. So, you won’t have to worry about any heat transfer, melting snow, or ice dams. Not only will proper insulation prevent roof ice dams, but it will also act as an energy saver because your heater won’t have to be cranked as high to heat and maintain your home to a desired temperature. Not only can you save money on your energy bill but you’ll also prevent roof ice dams. Another way you can reduce the risk of roof ice dams forming is by clearing the snow from your roof. The idea is to get as much snow off your roof as possible, so there is a minimal amount that can melt. That being said, you should rake the snow off your roof after every time it snows in heavy amounts. Of course, we don’t recommend going onto your home’s roof to do this and it should be done safely from the ground using specialized tools. It should be noted that raking snow off your roof can be time consuming and physically exhausting. It also poses a safety risk because of the slipperiness and height. That being said, this might not be an option for everyone. If you want the snow cleared off your roof, but you don’t want to it yourself, you could always consider hiring a professional roofer to do it for you. But, it’s important to keep in mind that since you will have to do this after every time it snows, this might be costly. If you think you may have a roof ice dam forming let Ypsilanti Roofing Company make a roof inspection on your home today. We offer all types of roofing services in Ypsilanti Michigan plus we offer free estimates. Contact us today for more information.